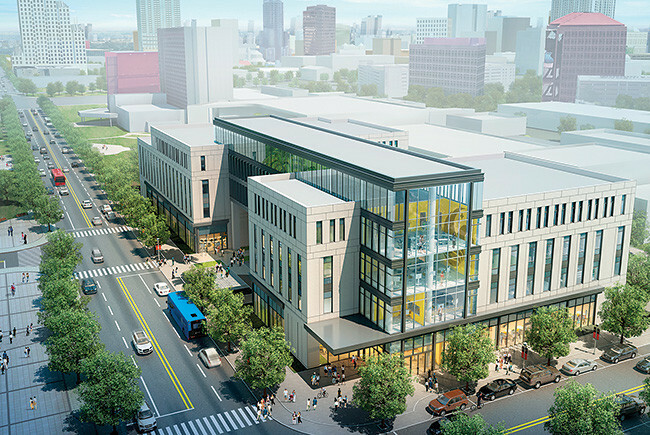 The 148,000-sq.-ft. Dr. Phillips Academic Commons will be the center of the UCF/Valencia campus when it opens next year. 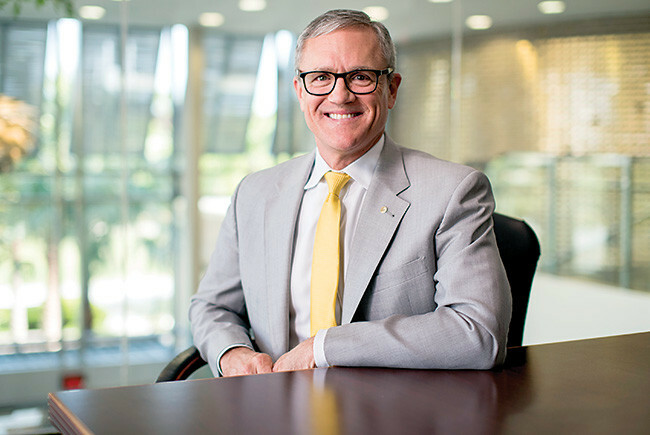 On July 1, Dale Whittaker will become the fifth president of the University of Central Florida, succeeding John Hitt, who is retiring after more than 26 years on the job. Whittaker, who came to UCF four years ago from Purdue University, had been UCF’s provost and Hitt’s top deputy. He discussed his goals with Florida Trend from his office on the site of a new joint campus that UCF and Valencia College are building in downtown Orlando. Near-Term Goal 2: “To fully realize the leading, 21st-century Academic Health Science Center at UCF’s medical campus in Lake Nona. How wellness and health are practiced going forward is very different than the way 20th-century academic health science centers were structured. It means more care outside the hospital; it means more interdisciplinary clinical teams; and it means a role of technology in self-monitoring, self-healing, self-treatment. Just within the last month we announced the reorganization of our academic units into an Academic Health Science Center.